A burst of emotion, forcing the artist to turn inside out his soul and leave it on the canvas – that’s how the Ukrainian artist Sergey Piskunov sees the work of his life. 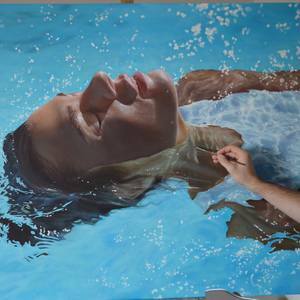 Hyper-realistic paintings, possessing their own charm and character, children of unique inspiration – they like no other reflect the inner state of their creator, the depth of his personality, exposing him to the outside world. Today the works of Sergey testify his talent not only in Ukraine, but also in Germany, Great Britain, USA, Switzerland and many other countries. Sergey was born on 9th April 1989 in Ukraine. It’s not for nothing that childhood is considered almost the most important stage of human life. It is during this period that a person learns to understand himself, there is the emergence of his personality and the manifestation of individuality. It was drawing to be the passion of Sergey’s childhood. In the school, he used to draw on everything that could be used for this purpose: on the fields of notebooks, on the desk etc. And even though the teachers insistently advised him to develop such a talent in the art school, he didn’t visit it once. The next stage in the life of Sergey led him away from the creative path. In 2007, he entered the Ukrainian Academy of Customs and finished it in 2012, receiving the diploma of computer system engineer, after what he started working as IT engineer. But our life mission prescribed by fate isn’t able to leave a person under any circumstances. It isn’t accidental that during the 3rd year of study a person very close to Sergey presented him brushes and oil paints. It was this gift that awakened the dormant need to manifest himself through drawing. In the beginning, the creative searches of oneself were charged with the inspiration, that Sergey took from the works of masters of impressionism and surrealism. That’s why in the first paintings are so noticeable the notes of these styles. As a result, Sergey fully revealed himself in hyperrealism. This is the style that helps him to be competitive with himself, and approve creative skills during all the time. 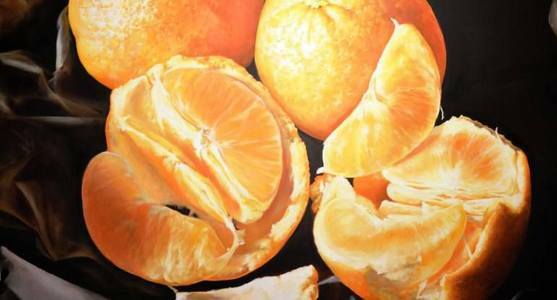 Hyperrealism is the style in which there is no much space to be original, which makes possible to make unique not only every artist, but every single painting. The works live their own lives, misleading people and forcing them to believe in the illusion of photography, so that later allow them to unravel every brush stroke, carried out by the artist on the canvas. Sergey Piskunov is the embodiment of a free artist, independent of market trends, whose faithful compass and guide is the perception of the world through the prism of his own inspiration and talent.